Are you ready for the TOEIC exam? The TOEIC (Test of English for International Communication) exam is an English language test designed specifically to measure the everyday English skills of people working in an international environment. The TOEIC test has 3 different forms and each form has its own challenges. You can take the Listen & Reading Test, Speaking & Writing test or the institutional TOEIC exam. But are you ready? Take this quick quiz to find out. Is your level of English vocabulary high enough for international use? Can you communicate confidently in work and personal situations? Do you think your English speaking skill is fluid enough? Can you write at an advanced English level? 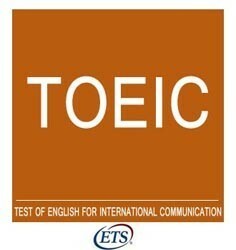 Have you reviewed and understood the sections of the TOEIC exam? Have you taken and passed this kind of exam before? If you answered 'no' to any of those questions, you may want to speak with one of Live Lingua's TOEIC tutors. The first trial TOEIC class is absolutely free. You can speak with the tutor to see if they think you are ready for the TOEIC test and they can propose a study plan for you. No credit card required, and no commitment. The TOEIC Listening & Reading exam lasts for 2 hours. It is made up of 200 multiple choice questions divided into 100 listening comprehension questions and 100 reading comprehension questions. Each section has a maximum of 495 points and the maximum score for the TOEIC Listening and Reading test is 990 points. Depending on the points you get you will be assigned a color level. Orange (10–215), Brown (220–465), Green (470–725), Blue (730–855) and gold (860–990). Do you have any questions about the TOEIC Listening and Reading exam? You can speak to one of our TOEIC tutors for free to ask any question you may have. They will speak with you and evaluate how prepared you are. The TOEIC Speaking and Writing exam is broken into two sections. You can choose to take both sections together or separately. The score you get on each of them is independent of each other. The Speaking test will evaluate you pronunciation, vocabulary, grammar, and fluency. The Writing test will evaluate you vocabulary, grammar, and overall coherence and organization. These exams are meant to evaluate business English, but they do not have any business specific vocabulary. The speaking tests takes 20 minutes, while the Written test takes 60 minutes. Each test has a maximum score of 200 points. Do you have any questions about the Speaking and Writing TOEIC exam? You can speak to one of our TOEIC tutors for free to ask any question you may have. They will speak with you and evaluate how prepared you are. The institutional TOIEC exam is usually administered by private companies and is not normally available in TOEIC test taking centers. This exam is provided by ETS.org and is not normally available to the general public. The institutional TOEIC exam is usually customized by each institution so that they can better suite their unique needs. If you are interested in using one of our professional Skype TOEIC tutors to prepare for you institutions exam we would ask you to provide us with an outline of your exam so that your teacher can have this information available to prepare your course. Speak To A TOEIC Tutor Today! What makes Live Lingua TOEIC tutoring different from the local tutors or enrolling at a local language school? And best of all, we let you meet and speak to your future TOEIC teacher before having to commit to paid classes! The more TOEIC lessons you enroll in at the same time, the cheaper the hour of class gets. Still not sure if Live Lingua TOEIC tutoring is the right choice for you? Then just try a free lesson with one of our tutors to make sure. No risk, no commitment. "I took many years of classes in my school in Mexico, but did not have any confidence in speaking. [My Skype English teacher] is amazing, and she even speaks some Spanish!" "This is the best way to learn. I tried Rosseta Stone and other programs but never could speak. Live Lingua English is the best way to learn English." "I had a wonderful experience with Live Lingua. I would recommend them to people and friends."